It’s been amazing to hear all of the vocalizations that the great-horned owls make, especially now during courting time. One of the pair seems to greet the other after they leave their roosts with a croaking screech sound from a nearby tree, then when the pair comes together one of them makes a repeated chirping sound, something that you’d expect to come from a plush toy or something similar. It’s a fast series of soft, muffled cooing-chirp-toots. Even the common “hoot” changes in frequency, cadence, and number of hoots in a grouping when they are addressing each other. It’s very endearing. 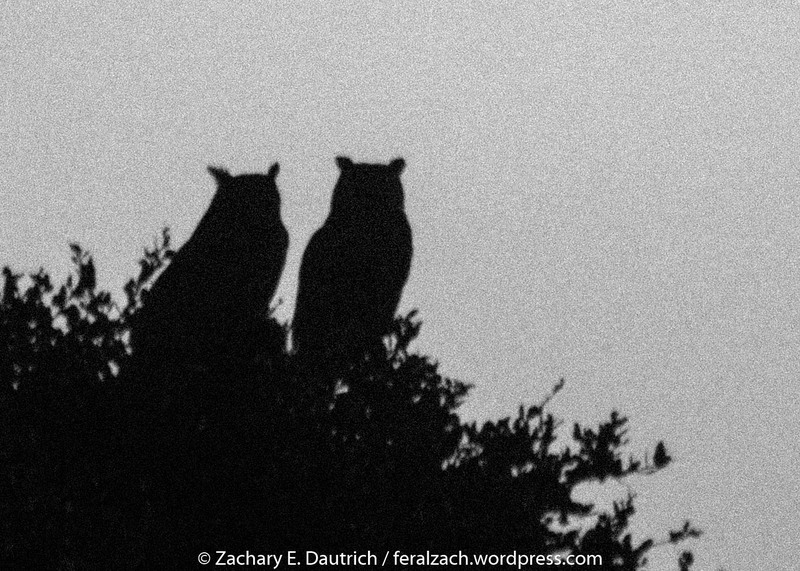 Tonight this pair was hanging out together as usual lately – and talking to one another – on their favorite tree, a big live oak. I felt lucky to watch and listen. This entry was posted on December 29, 2014 by feralzach. 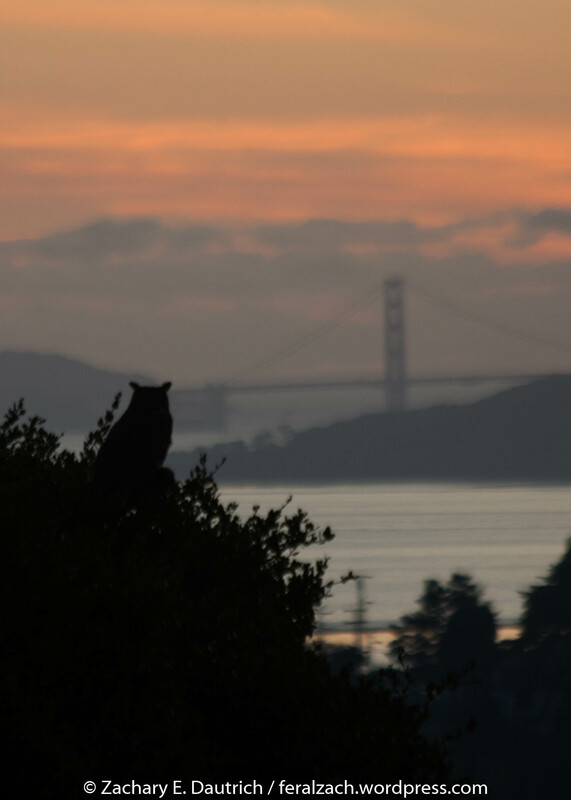 It was filed under Uncategorized and was tagged with Bubo virginianus, california, contra costa county, courting, golden gate bridge, great-horned owl, vocalization.